The Plaintiff’s motion failed for a declaration of an interim order for advanced costs. The circumstances surrounding the claim of an unjust infringement of treaty and Aboriginal rights was not sufficiently compelling or unique enough for the Court to grant this exceptional remedy. The Plaintiff, Hubert Francis, is a Mi’kmaw and member of the Elsipogtog First Nation in the province of New Brunswick. On three occasions in 2015, officials from the Department of Fisheries and Oceans boarded his vessel and seized his catch for fishing without a valid fishing license. He asserts he is entitled to do so pursuant to treaty and Aboriginal rights. The Plaintiff and the Aboriginal crew of his vessel, have been charged with fishing without authorization in respect of the last two incidents, and are facing summary conviction proceedings under the Fisheries Act before the courts of the province of Québec. The Plaintiff sought declarations that the prohibitions and restrictions placed upon him are an unjustifiable infringement of his treaty and Aboriginal rights. The Plaintiff asked for an interim order for advanced costs, relying on the principles in British Columbia (Minister of Forests) v Okanagan Indian Band, as he would otherwise be unable to proceed with this civil action. There is agreement among the parties that the Plaintiff must meet three criteria of the Okanagan test before the Court may order for advanced costs: (1) The party genuinely cannot afford to pay for the litigation, and no other realistic option exists for bringing the issues to trial; (2) The claim to be adjudicated is prima facie meritorious or of sufficient merit that it is contrary to the interests of justice for the litigation to be forfeited just because the litigant lacks financial means; (3) The issues raised transcend the individual interests of the particular litigant, are of public importance, and have not been resolved in previous cases. The Court concluded the Plaintiff cannot meet two of the three criteria required of the Okanagan test, therefore his motion fails. Although the Plaintiff only raised a nominal amount for a civil proceeding, there was no attempt by him to secure funding for his defense in the summary conviction proceedings. It has not been demonstrated that these issues cannot be determined fairly, adequately and without injustice in the context of the Quebec criminal proceedings. The failure of the Supreme Court to mention the availability of other fora under the specific heading of impecuniosity in both R v Caron and Little Sisters Book and Art Emporium v Canada has little relevance to the issues. Advanced cost orders must be used only as a last resort to avoid an injustice, not because it is a “preferable” mode of determining issues, where an adequate alternative mode exists. It must be to prevent an injustice for the litigant and the public at large that would result from the failure of having issues of public importance properly resolved. It should not be used as a smart litigation strategy. Although the declarations sought by the Plaintiff in his statement of claim are limited to his own rights, it remains that the rights he asserts are, by their nature, collective rights held by the relevant Aboriginal communities or collectives. As such, they cannot be advanced as the basis of a civil claim or a declaratory action without the support of the community or collective, which he does not have. Individuals can, without the support of the relevant collective that holds the rights, assert these communal rights and have them adjudicated, to the extent necessary, in defense to criminal or regulatory offence proceedings, but individuals may not invoke them as the basis of a claim for determination of rights (R v Chevrier and Queackar- Komoyue Nation v British Columbia). To recognize an individual’s right to institute and maintain, without the support of the appropriate collective, civil actions asserting Aboriginal rights whenever they are brought “in parallel” to criminal proceedings, would ignore the unique nature of those rights and undermine the authority of the lawful representatives of the relevant band or nation to determine when and how to assert these rights. Given the Plaintiff’s lack of standing to bring this action, the second criterion of the Okanagan test, that the claim be prima facie meritorious, has not been met. First Nation granted stay of hearing fees for treaty litigation, until question of whether these are contrary to the Honour of the Crown can be resolved. In the case of Yahey, the Blueberry River First Nation (BRFN) brought an application to stay hearing fees on the basis that there are unsettled legal issues surrounding the provincial hearing fee scheme. Procedurally, relief from fees can be sought either by way of a court order or an application based on undue hardship under Rule 20-5 of British Columbia’s Supreme Court Civil Rules. By way of background, this application came on the heels of an amendment to Rule 20-5 to allow for an undue hardship exemption from hearing fees. Justice Burke concluded that the stay ought to be provided. BRFN’s position was that there are open questions as to whether it is dishonourable for the Crown to require First Nations to pay a fee to litigate their treaty rights. In addition, BRFN pointed out that conclusions from other ongoing constitutional litigation regarding the breadth of the term “undue hardship” (Cambie Surgeries Corp. v British Columbia) would bring greater clarity to its application for relief from fees. In determining whether or not a stay could be provided, Justice Burke applied the legal test set out in the case of RJR-MacDonald Inc. v Canada (Attorney General). This test requires a court to consider whether (a) there is a serious question to be tried; (b) irreparable harm will result if the stay is not granted; and (c) the balance of convenience favours granting the stay. Justice Burke found that the application of this test favoured providing BRFN with the stay they sought. Justice Burke concluded that BRFN established there was a serious issue to be tried—that is, whether the Honour of the Crown demands Indigenous peoples to not pay a fee in order to have their constitutional rights adjudicated. This question was not addressed in Cambie Surgeries and remains unaddressed to date. Justice Burke went on to find that the irreparability of harm and balance of convenience in this case weighed in favour of providing the stay. She found BRFN would have to either allocate resources to pay the hearing fees, or bring an application for relief from paying the fees, or bring an application for relief on unsettled law. Further, she noted that if Cambie Surgeries could provide some guidance, then requiring the payment of fees would be an inefficient use of resources. Finally, Justice Burke raised a question of fairness of process. Citing RJR MacDonald, she indicated that a perception of unfairness might arise from the fact that losses associated with paying the fees prematurely might not be cured later. These factors meant that the balance of convenience weighed in favour of BRFN. Catholic Children’s Aid Society of Hamilton v GH, 2016 ONSC 6287: The Ontario Superior Court of Justice released a decision in a Crown wardship application where it was found that the definitions of “Indian”, “Native person”, and “Native child” in Ontario’s Child and Family Services Act were invalid on the basis that they unjustifiably infringe s 15 of the Charter. The Court found that the impugned definitions do not extend to all individuals who self-identify as being Aboriginal. In fact, all parties conceded that they do not extend to Métis children. The Court also found that the Act afforded significant special protections for individuals falling into these definitions at every stage of a child protection intervention. The Court recognized that all Aboriginal peoples, including Métis, have been subject to a legacy of prejudice, stereotyping, and disadvantage. With this context in mind, the Court determined that the definitions created distinctions based on the analogous ground of “Aboriginality without membership in a community designated as “Native” under the [Act]”. It also concluded that these distinctions created or perpetuated disadvantage for Métis children and their families due to their inability to access the special protections under the Act. In conducting this analysis, the Court noted that the Act clearly created these unfair and objectionable disadvantages on its face and this could be discerned through logical reasoning alone. There was no need for social science evidence and empirical data. As no s 1 argument was advanced, the infringement was not saved. 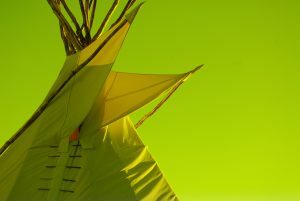 A suspended declaration of invalidity was issued and it was ordered that the Métis child in this case be treated as if he were an Indian, Native person or Native child within the meaning of the Act. Good v Canada (Attorney General), 2016 FC 1272: The Federal Court released a decision allowing in part an application for judicial review of INAC’s dismissal of an election appeal under the Indian Act. The applicant first unsuccessfully sought to appeal the March 2014 election of the Red Pheasant First Nation through INAC based on allegations of misconduct by the electoral officer and corruption in the form of vote-buying. She then sought judicial review of INAC’s rejection of that appeal. However, a subsequent election had since taken place in March 2016. The Court found that INAC’s delegate erred by choosing to dispense with any investigation of the applicant’s vote-buying allegations and proceeding to dismiss the appeal on the basis that corruption had not been proven on a balance of probabilities. The Court noted that this approach appears to have become settled practice within INAC’s Elections Unit. While the Court was sympathetic to INAC’s desire to streamline its management of appeals, it had significantly changed the very nature of the appeals process in a manner tantamount to attempting to amend the law via internal policy. The Court took no issue with how the delegate addressed the issue of electoral officer misconduct, but found that the delegate’s refusal to investigate conflicting evidence on vote-buying was unreasonable, based upon an error of law and procedurally unfair. While these issues were moot due to the subsequent election, the Court exercised its discretion to deal with the central controversy between the parties as roughly 40% of First Nations hold elections under the regime at issue in this case. Michipicoten First Nation v Ontario (Minister of Natural Resources and Forests), 2016 ONSC 6899: The Ontario Superior Court of Justice dismissed an application for judicial review of provincial approvals for the Bow Lake Wind Farm Project on the shared traditional territory of the Michipicoten and Batchewana First Nations in northeastern Ontario. Michipicoten argued that the Crown breached its duty to consult and sought to quash the approvals, preclude further approvals until more consultation takes place, and have the court remain seized of remedies or order removal of the infrastructure, remediation of the lands, and costs. The Court noted that Michipicoten had inexplicably delayed several months in pursuing and perfecting its application for judicial review, which caused the proponent and Batchewana, which has a 50% interest in the project, serious harm. For this reason, the Court dismissed the application on its own motion. In the alternative, the Court went on to conclude that consultation was adequate as Michipicoten failed to provide any evidence of potential adverse impacts on its Aboriginal or treaty rights in spite of many requests to do so. Furthermore, the Court concluded that the remedy sought in terms of decommissioning the project was inappropriate. Michipicoten argued that a proponent’s commercial interests may not come into play in determining the balance of convenience in a consultation dispute between the Crown and an Aboriginal community. However, the Court found this principle inapplicable in this case since Batchewana would face irreparable harm if the relief sought was granted. Poitras v Khan, 2016 SKQB 346: The Saskatchewan Court of Queen’s Bench allowed an application for letters probate under a Will created pursuant the Indian Act. The testator met the man who became her husband and married him after she had already made her Will. Under provincial legislation, the testator’s spousal relationship would have automatically revoked her Will. However, the testator was a status Indian living on reserve and there was no such provision under the Indian Act to invalidate her Will automatically. Under the Indian Act, the Minister had the power to declare the Will void if it imposed hardship on persons to whom the testator had responsibility or was contrary to the interests of the band or the public. In this case, the Minister had referred the matter to the Court, conferring its power to declare the Will void on the Court. The testator’s husband, Mr. Khan, sought to invoke this power on the basis that he was not provided for in the Will. The Court confirmed the validity of the Will, but also noted that Mr. Khan could still potentially seek a claim for one half of the testator’s family property accrued from the date of marriage until death under provincial legislation. Beattie v Canada (Attorney General), 2016 FC 1328: The Federal Court dismissed an application for judicial review of a decision of the Canadian Human Rights Tribunal where a complaint was dismissed as being solely a challenge to legislation beyond the Tribunal’s jurisdiction. The applicant, Mr. Beattie, sought to register two leases and an assignment of lease in the Indian Lands Registry. The Registrar rejected the applications on the basis that the leases did not include the Crown as a party and no ministerial approval had been provided. Since the leases could not be registered, the assignment could not be registered either. As a result of this decision, the applicants brought a complaint to the Tribunal alleging that the respondent had discriminated against them on the basis of their race, national or ethnic origin by denying a service customarily available to the public. The Tribunal dismissed the complaints on the basis that they were beyond its jurisdiction since they were challenging the Indian Act itself, which obliged the Registrar to reject the leases and assignment. The Court was satisfied that the Tribunal’s decision was reasonable and it was reasonable to rely on other Federal Court and Tribunal decisions where such challenges to legislation were dismissed as beyond the Tribunal’s jurisdiction. The Court also rejected the applicants’ assertion that title to the reserve lands at issue in this dispute were vested in an individual pursuant to either a Certificate of Possession or customary tenure. R v Park, 2016 MBCA 107: The Manitoba Court of Appeal allowed an appeal from sentence for impaired driving and drug possession due in part to the sentencing judge’s failure to adequately consider Gladue factors. It was conceded that defence counsel during the sentencing hearing did not address Gladue factors other than to note that the accused was Aboriginal. No Gladue report was ordered. The Crown argued that defence counsel expressly waived the Gladue rights of the accused whereas counsel for the accused on appeal argued that the Court had a duty to make further inquiry when no advocacy was provided on Gladue factors during sentencing. The Court of Appeal found there was no express waiver in this case. Defence counsel at sentencing acknowledged there were Gladue factors but focused on other arguments. A waiver must be express and clear. Both defence and Crown counsel have an obligation to bring forward Gladue information. Where that does not happen, the Court may need to go further and has a duty to at least make further inquiries. The Court must also make explicit its consideration of Gladue factors and its determination that it has adequate information on those factors before it. It is unsatisfactory for both the offender and the public to have to infer such circumstances were properly considered. The sentencing judge failed to expressly confirm that Gladue factors were considered and failed to clarify defence’s reliance on Gladue, which in turn had an impact on the sentence. The sentence was varied. R v Predham, 2016 ABCA 371: The Alberta Court of Appeal allowed an appeal from sentence with respect to convictions for driving while disqualified, breach of recognizance, failure to appear and possession of a stolen licence plate. The appellant argued that the sentencing judge erred in failing to give appropriate weight to his Gladue factors, among other things. In particular, the appellant took issue with the sentencing judge’s reasons where it was suggested that Gladue factors were less relevant to the offence of driving while disqualified in the absence of alcohol, drugs or violence. The sentencing judge stated that there must be “some relationship between the Gladue factors and the offending in order for there to be that sort of linkage”. The Court of Appeal held that it was an error of law to require a linkage between Gladue factors and the offending conduct. The Court stated that it is also an error to carve out a certain category of offences as being immune from the Gladue analysis. The Court was also satisfied that the sentencing judge’s error influenced his ultimate decision. The sentence was varied. Cardinal v Major League Baseball, 2016 ONSC 6929: The Ontario Superior Court issued its reasons for dismissing an urgent interim injunction application to restrain the Cleveland baseball team, Rogers Communications, and Major League Baseball (MLB) from displaying the team’s name or logo during a game in Toronto and while the underlying federal and provincial human rights complaints proceed. In the underlying complaints, the applicant, Douglas J. Cardinal, is alleging that the use of the team’s name and logo constitutes prohibited discrimination and harassment against him on the grounds of race, ancestry, colour, ethnic and national origins, and constitutes a publication or display intended to incite infringement of the Ontario Human Rights Code. The Court held that it had jurisdiction over the application, rejecting MLB’s argument that it ought to allow the United States Supreme Court to determine the underlying issues in this case based on principles of comity. The Court was also satisfied that the parties raised serious issues to be tried in terms of whether a service had been offered and whether the team’s name and/or logo offend the provisions of federal and Ontario human rights legislation, as well as the relevance of MLB’s freedom of expression to the dispute. However, the Court did not accept the applicant’s assertion that he would sustain irreparable harm if an injunction was not granted, noting that damages were available and disputes over use of the impugned name and logo have been ongoing for years. The Court noted that the applicant sought a change to the status quo and his last minute application, if granted, would materially prejudice the respondents. The issue of delay went to both the question or irreparable harm and the balance of convenience. Anderson v Canada (Attorney General), 2016 NLTD(G) 179: The Newfoundland and Labrador Supreme Court approved the terms of a $50 million settlement in a class action brought by Aboriginal individuals who attended schools, dormitories or orphanages in the province between 1949 and 1980. The plaintiffs claimed that Canada breached a fiduciary duty to the students who attended these facilities to protect them from actionable physical or mental harm. The Court was satisfied that the settlement was fair, reasonable, made in good faith, and in the best interests of the class as a whole. It was also satisfied that the fees and disbursements of the plaintiffs’ counsel were fair and reasonable. The settlement includes both General Compensation Payments for years that students resided at the facilities at issue, and Abuse Compensation Payments that depend on the harm individual students suffered. The settlement provides for a confidential paper-based claims process and Canada is committed to funding mutually agreeable commemoration and healing initiatives over and above its compensation funding. Horseman v Canada, 2016 FCA 252: The Federal Court of Appeal dismissed an appeal from a decision to strike the appellant’s claims as falling under the exclusive jurisdiction of the Tax Court of Canada. The appellant received a Notice of Assessment and Requirement to Pay $59,000.06 of outstanding GST. He initiated this Federal Court action for a declaration that the Requirement to Pay is null and void and contrary to the Indian Act, Treaty No. 8, and s 35 of the Constitution Act, 1982. The Court found that this challenge was properly characterized as an indirect challenge to a tax assessment, making it plain and obvious that the Tax Court had exclusive jurisdiction. The Tax Court has jurisdiction to consider the constitutional validity, applicability or operability of federal legislation and regulations and can issue remedies if a notice of constitutional question is properly served. It is also well-established that the Tax Court can determine claims under s 87 of the Indian Act over the applicability of tax requirements, or involving tax exemption claims under Treaty No. 8. Such assertions are properly tested in the Tax Court. Dinsmore v Slenyah Store, 2016 BCHRT 176: The British Columbia Human Rights Tribunal dismissed a human rights complaint alleging discrimination in the area of employment on the basis of colour or race with respect to a business in Fraser Lake, British Columbia known as the Slenyah Store. The business was operated by the Stellat’en First Nation up until April 2014. The majority of its customers are status Indians who are able to purchase gas and cigarettes at tax exempt rates there. In 2013, the store was in serious financial difficulty. It was kept afloat via overdraft protection from Stellat’en and Stellat’en paid the store’s back taxes to get it out of its financial difficulties. In 2014, the store was incorporated to be operated at arm’s length through a limited partnership. As a result of these changes, all the store’s employees were laid off by Stellat’en and encouraged to reapply for positions with the limited partnership that would operate the store going forward. The Tribunal found that while the store was operated by Stellat’en it was an integral part of the First Nation’s overall governance and operations. Its purpose was to permit members to avail themselves of their tax-free status, it was financially integrated with the First Nation, its employees were employees of the First Nation, and its operations were continuously concerned with the status, rights and privileges of Stellat’en’s members. As a result, the store fell under federal jurisdiction and outside the Tribunal’s jurisdiction while it was operated by Stellat’en. While operated at arm’s length through a limited partnership, however, the store was a provincial undertaking subject to the Tribunal’s jurisdiction. The Tribunal went on to dismiss the complaint against both entities on the ground that it had no reasonable prospect of success if it were to proceed on its merits. Uashaunnuat (Innus of Uashat and Mani-utenam) c Iron Ore Company of Canada, 2016 QCCS 5133 (in French only): The Superior Court of Quebec dismissed an application from the defendants to strike portions of the plaintiffs’ claims. The Innu plaintiffs are suing the defendants, a mining company and a railway company, for $900M in damages for alleged harms to their section 35 rights within their traditional territory, the Nitassinan, which covers a large portion of the Quebec-Labrador peninsula. The defendants argued that to the extent the plaintiffs’ claims relate to land outside Quebec’s borders, those claims are outside the jurisdictional competence of the Quebec Superior Court, as per the Quebec Civil Code. The claims are premised on asserted Aboriginal rights and title, as well as treaty rights. In determining this application, the Court noted the need to consider the Aboriginal perspective when addressing section 35 rights, the sui generis nature of these rights, and the fact that recognition of these rights is ancillary to the primary focus of this litigation, which is on damages. The Court also rejected forum non conveniens and Crown immunity arguments. It noted in the latter case that the section 35 rights of the Innu are existing rights, not rights created by the courts, and should therefore not differ as between Quebec and Labrador. Siksika Nation v Crowchief, 2016 ABQB 596: The Alberta Court of Queen’s Bench granted the Siksika Nation an interlocutory injunction against a group of its members to prevent them from interfering with its contractor’s efforts to rebuild homes in an on reserve development. The respondent stated that his purpose for initiating the blockade was to draw attention to alleged issues of oversight, accountability and transparency with respect to the applicant’s use of financial resources on this project, among other things. The respondent invoked his Charter right to freedom of expression in defence of the protest and blockade. The Court found that the applicant was able to meet the test for an interlocutory injunction. The Court also held that the Charter did not apply in the circumstances, since the injunction was aimed at ensuring the applicant and its contractor could fulfill the terms of a private agreement, and the applicant was not seeking to prevent the respondents from pursuing legal avenues to express their dissent. The Court further concluded that the injunction would be a justifiable infringement of the respondents’ Charter rights even if the Charter had applied. Horseman v Canada, 2016 FCA 238: The Federal Court of Appeal dismissed an appeal from a Federal Court decision that declined to certify a proposed class proceeding for treaty annuities owed under each of the Numbered Treaties. The Federal Court had concluded that there was insufficient commonality between the circumstances of each treaty’s annuity clause for the purposes of a class action. The Court of Appeal upheld the decision and substantially agreed with the Federal Court’s analysis. It held that treaty interpretation requires an intensive inquiry into the mutual intent of the parties and the purposes for which they entered treaty. Due to the unique historical, cultural, and economic context surrounding each treaty, class proceedings would likely not have issues of commonality unless they were limited to a particular Numbered Treaty. Sipekne’katik v Nova Scotia (Minister of Environment), 2016 NSSC 260: The Supreme Court of Nova Scotia allowed the admission of affidavit evidence beyond the record in a statutory appeal from ministerial approvals under Nova Scotia’s Environment Act. The approvals were for the development of an underground natural gas storage facility. Sipekne’katik claim Aboriginal and treaty rights to hunt and fish in the area where the project will be developed. The Court held that evidence beyond the record would only be admissible in exceptional circumstances, such as breaches of natural justice and procedural fairness. All parties relied on the Crown’s duty to consult falling within the broad heading of a “breach of procedural fairness” in order to argue that their respective affidavits were admissible. The Court noted that affidavit evidence would not be admissible merely because the honour of the Crown was raised as an issue. They must relate to the scope and content of the duty to consult and whether that duty has been fulfilled. Under this test the Court accepted all the affidavits, subject to the striking of some argumentative portions. D.N.T. Contracting Ltd v Abraham, 2016 BCSC 1917: The Supreme Court of British Columbia granted a logging company’s application for an injunction prohibiting members of the Takla Lake First Nation (TLFN) from blocking, physically impeding, or delaying access to harvesting sites under a timber licence. Members of the TLFN stated that their burial sites and traditional territory were within the cut block boundaries of the licence. They also stated that TLFN receives a larger number of consultation referrals than they can manage due to their small size and financial management issues from previous administrators. 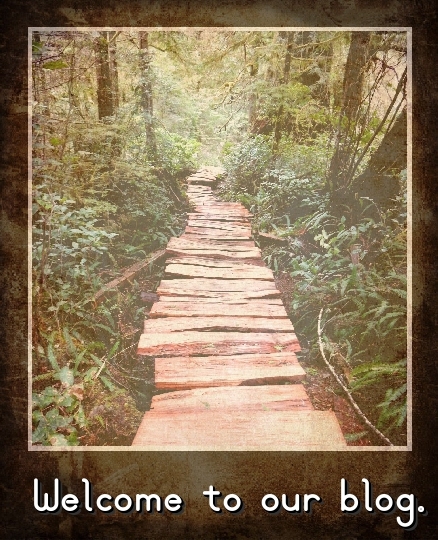 TLFN indicated it was willing to negotiate with the applicant and allow the logging if accommodation could be reached. The Court held that the blockade constituted irreparable harm as further delays would threaten the economic standing of the company’s operations and harm it significantly. The Court held that TLFN should have brought its issues forward during the consultation process before the licences were approved, rather than threatening the administration of justice by blocking access to the harvesting sites long after the time for consultation had passed. Schnurr v Canada, 2016 FC 1079: The Federal Court resolved three common issues in a class action lawsuit filed by a group of on reserve cottagers. The plaintiffs are disputing a rental increase proposal of up to 700% for each year of a five-year rental term. The primary issue was the appropriate methodology for determining the fair market rental value of the leased properties. The Court determined that the appropriate method was to consider comparable lease rates on comparable property. The Court sided with the plaintiffs’ real estate appraiser because of his greater knowledge of the subject property, and familiarity with the Saskatchewan market and the recreational lands in the province. It did not accept the argument that provincial park rates should be excluded from the calculation due to policy constraints on those rates. Blackjack v Yukon (Chief Coroner), 2016 YKSC 53: The Yukon Supreme Court dismissed an application to strike the Little Salmon Carmarks First Nation (LSCFN) from an application for judicial review on the basis that it had no standing. Theresa Blackjack and LSCFN jointly filed a petition for judicial review of the Chief Coroner’s decision to close an investigation into the death of Theresa’s daughter, Cynthia Blackjack, without ordering an inquest. The Chief Coroner asserted that LSCFN had no standing in relation to the subject matter of the petition. The Court concluded that LSCFN had public interest standing to proceed with the petition because LSCFN raised a serious justiciable issue, had a real stake or genuine interest in that issue, and the proposed suit was a reasonable and effective way to bring the issue before the courts. Fox v Narine, 2016 ONSC 6499: The Ontario Superior Court of Justice dismissed an application to strike a statement of claim alleging that a shelter was negligently operated when the late plaintiff was sexually assaulted there. The plaintiff was subsequently murdered. 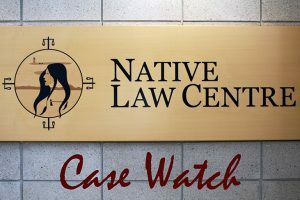 The Court held that there was a sufficiently proximate relationship between the late plaintiff and the shelter where she was staying at the time of her assault. There was also no reason to override or limit the scope of the duty of care. The statutory provision that would allow this action to proceed was created to improve the protection that the law offers to victims of sexual violence. While a limitation period under the Trustee Act, 2002 would ordinarily have barred the claim from being brought more than two years after the plaintiff was killed, there is no limitation period under the Limitations Act, 2002 where an action is based on sexual assault. The more general statute must yield to the more specific one, which was the limitations legislation in this case. Tuccaro v Canada, 2016 FCA 259: The Federal Court of Appeal dismissed an appeal from an interlocutory order of the Tax Court of Canada. Mr. Tuccaro unsuccessfully sought to strike portions of Canada’s reply where it was asserted that he was estopped from asserting a treaty right to tax exemption under Treaty 8. Mr. Tuccaro argued that this issue was definitively addressed in a past Federal Court of Appeal decision in this litigation with respect to an appeal from another motion to strike, and Canada was therefore estopped from raising its estoppel argument. Both the Tax Court and the Federal Court of Appeal disagreed. The Court of Appeal did not find it plain and obvious that Canada would be estopped from raising its estoppel argument, especially considering the discretion that a trial judge maintains over whether it accepts such an argument. The Court of Appeal also suggested that Mr. Tuccaro’s argument could have grave consequences if it were accepted. It could force litigants to raise grounds that they know have no chance of meeting the stringent test for motions to strike in order to avoid potential issue estoppel arguments on those unpleaded grounds. R v Wheatley, 2016 BCCA 397: The British Columbia Court of Appeal allowed an appeal from a sentence of 18 months imprisonment for breach of a residency requirement in a long-term supervision order. The sentencing judge made no mention at all of Mr. Wheatley’s Aboriginal background or his traumatic upbringing, although this was established during the sentencing hearing and the subject of submissions. The judge was clearly aware of the law, having been the sentencing judge for one of the sentences on appeal in the Supreme Court’s Ipeelee decision. However, the importance of Mr. Wheatley’s Aboriginal background and the traumas he suffered growing up appear to have been “lost in the shuffle” when it came to the imposition of a sentence. The Court of Appeal held that “[t]oday, reference to an Aboriginal offender’s circumstances should be seen as mandatory”. The sentencing judge erred in failing to particularly consider Mr. Wheatley’s Aboriginal circumstances and Gladue factors, resulting in an unfit sentence. R v Daybutch, 2016 ONCJ 595: The Ontario Court of Justice ordered a curative discharge for Ms. Daybutch with respect to her convictions for impaired driving offences, finding it to be both appropriate for the defendant and in the public interest. Earlier in these proceedings the Court had concluded that Ontario was in violation of the s 15 equality rights of Indigenous people in Ontario by failing to request the proclamation into force of a curative discharge option for impaired driving offences. This decision on sentence adopted a remedial approach under s 24(1) of the Charter. The Court had before it a Gladue report on Ms. Daybutch that indicated how her offences related to the systemic and background factors she faced as an Aboriginal woman. The Court took the view that the use of a curative discharge where warranted for Aboriginal offenders would permit sentencing judges to act in a Charter-compliant manner in accordance with the Supreme Court’s directions in Gladue and Ipeelee. Welcome to the Native Law Centre’s official blog. We plan on using this space to post thoughts on the law as it pertains to Indigenous peoples, including case summaries and comments. Maybe even a picture or two of the fun events that we attend. This blog more or less serves as a continuation of the Case Watch blog. 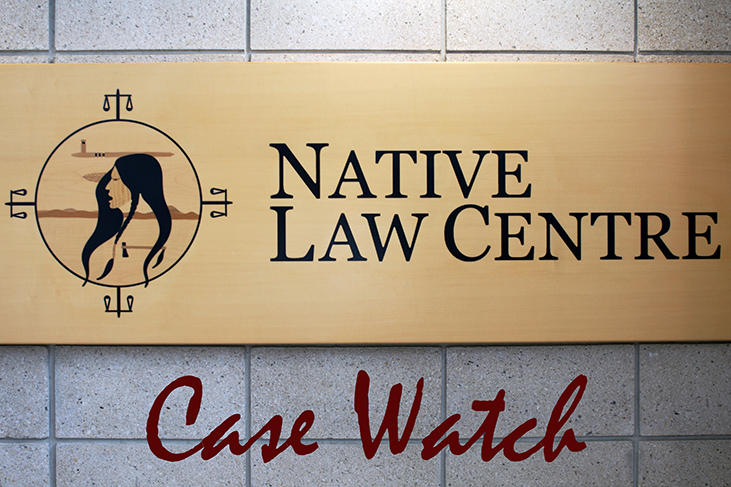 The Case Watch blog has functioned on the Native Law Centre’s website since September 2014 and focused on summarizing new cases that pertained to Indigenous peoples in Canada. Check back for further information as we plan on updating this blog regularly.